Food and Beverage - Haig Barrett, Inc.
Haig Barrett Food & Beverage Consulting is a full-service company that combines strategic business development with agency design services to build, develop and accelerate beverage and food brands market profitably. The signature difference of the Haig Barrett Food & Beverage business approach is a highly experienced industry team lead by longtime beverage industry professional, Jim Pinzino. The depth and breadth of knowledge in the Haig Barrett team enables fast focus on business opportunities ranging from new product launch, product growth opportunities, business expansion, reviving older brands, and more. A stronger brand has more customer value, and higher customer allegiance and interest, both today, and potentially in the future as it launches new products. Haig Barrett helps our clients leverage their brand to achieve higher sales, revenues and profitability. Haig Barrett understands the business today, and building on the realities, we can put together a solid strategy to grow the business and the product lines and help ensure a pattern of sales and revenue growth for the future. Nothing makes a company more effective than when marketing messages and outreach feed directly into sales. Tightly integrated marketing and sales can be the key to profitability and growth. Haig Barrett helps our clients optimize their marketing spend so that they accomplish a lot more with PR and Social Media, as well as the traditional types of spend. Rapid access to distribution channels can only be done by leveraging long-term relationships. Even then, appropriate preparation and design of product presentations is paramount. Haig Barrett brings to bear a 30+ year network, and the experience to design, execution, and follow-up on channel partner meetings, effectively and professionally. Haig Barrett Food & Beverage Consulting Services extensive “real world’ experience in leadership and support staff with verifiable business success, Integrated Strategy, Brand position and Creative, coordinated for accelerated Time-to-Market. Haig Barrett is an industry Leader with extensive experience in marketing and product sales development. Haig Barrett is experience, intuitive and deadline-conscious, achieves overall predetermined goals and objectives. Haig Barrett has deep relationships within the Food & Beverage industry, including where it truly counts, distribution. Haig Barrett seeks to become a true partner with client companies as a key to our management philosophy. We do not work in isolation. The client is involved every step of the way. Haig Barrett Food & Beverage Consulting Services is a full-service company that combines strategic business development with agency design services to build, develop and accelerate beverage and food brands to market. Haig Barrett Food and Beverage Consulting Services will cover the full business lifecycle from product inception, development, and placement on the shelf to marketing support, sales and growth. Strategic expertise and support will be offered in brand development, and management, as well legal and regulatory, if required. Haig Barrett Food and Beverage Consulting Services’ strategic goal is to provide a complete program that integrates strategic business growth and resources with a sophisticated brand and marketing team. Haig Barrett Food and Beverage Consulting Services integrated approach is designed to enable our clients to move fast and build a platform for growth and profitability rapidly. Situation: Contacted by CEO and President of company who was looking to substantially increase efficiency of the plants and increase Sales. Result: Increased sales from $5M to over $48M over a 5-year period and was instrumental in selling company. How: Creating efficiencies by shutting one plant down and increasing productivity in the other two. Also, by acquiring new customers via increasing business through private label co-packing. Situation: Owner and CEO contacted us to support company, who had two patents, to get FDA approval in order to allow company to make certain Structure Function Claims. Result: Spent two years working with the FDA to receive a letter from them to allow the claims of “hydrates more affectively”, “promotes nutrient absorption”, and “increases metabolic efficiencies” to appear on the label. Helped launch the product on the West Coast and Asia. How: Developed a deep relationship with the supervisor at the FDA. Situation: Contacted by EVP of company to expand growth of new energy drink in the Southwest market. Result: Put agreements into place that resulted in over 2,000 top grocery & convenience store locations to stock the product in premium shelf locations in stores. Haig Barrett Food and Beverage Consulting serves a broad range of food and beverage firms from production, to general grocery brands, specialty brands, and high-end brands. 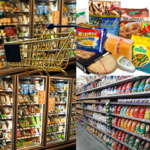 Full service range of support for Food industry brands in specialty and general grocery for shelf-stable, perishables and frozen product lines. Haig Barrett Food and Beverage Consulting Services offers full service business development and consulting, designed to address the fundamental strategic and operational brand building blocks that deliver Market Advantage. Strategic Advantage is the integrating approach that serves to assess and accelerate understanding of specific needs and the priority for key Strategic Services. The focus of strategic direction is to determine key performance, growth, and market factors that will collectively increase the brand’s reach and profit potential. We determine a customized approach for each of these strategic and tactical elements, to combine them in an efficient and Go-To-Market execution plan, enabling the Brand to generate results quickly. Market Research is a highly effective way to save money when the alternative is trial and error in risky and uncertain placements. Haig Barrett has substantial expertise in Market Research, Analysis and making use of data resources for opportunities. The best use of all research is always targeted to make the greatest impact for the most effective investment. Entering new markets, or maintaining a strong position in competitive current markets, Brand Managers and senior executives benefit from oversight and clear sight on competitive conditions, and competitor growth and momentum. Haig Barrett Food and Beverage Consulting Services can provide competitive research and analysis on the market or customized to the Brand and Product Line. 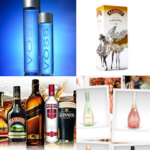 For each brand, Haig Barrett Food and Beverage Consulting Services will conduct a review of all individual Product lines, to determine the key business drivers for each. Given target audience, product segment, and established customer value perceptions of the product, business drivers would focus on flavor, taste, freshness, and various scenarios focusing on social and businesses uses of, for example, a beverage line like wines. Business drivers are the foundation elements for positioning, marketing plans and copy, and making the most direct appeal to the right audience, in the right market arenas. Each client project will include a review of the current state distribution strategy for all food & beverage product lines under review, including national, regional, local distribution, and retail channels, and online/e-commerce channels. Distribution strategy is assessed in terms of sales volume, price & profitability against Brand performance targets. Haig Barrett Food and Beverage Consulting Services will, assist in assessment of the effectiveness of your current distribution strategy and propose potential alternatives and enhancements that may deliver improved performance more directly in line with the Brand’s overall objectives or those for specific Product lines. Development of new sales channels is a subset of Distribution strategy. Haig Barrett Food and Beverage Consulting Services will assist in developing new retailer channels and supporting infrastructure to make these channels profitable and fully brand-engaged. This will involve selecting new retail outlets for the brand or selected product lines, either as principal volume retailers, or specialty stores to augment and improve profitability for existing Product lines. Food and Beverage products and companies are highly brand-driven. The perceived value of the brand in the eyes of the industry, and the consumer, may play an outsized role in the market potential of the brand’s product lines, sales, revenue and ultimate profitability. The primary focus of Haig Barrett Food and Beverage Consulting Services client engagements is to enhance and elevate the brand value of each client company and their product lines through strategic brand review, enhanced brand communications and marketing media. Haig Barrett Food and Beverage Consulting Services will provide a variety of additional specialized brand development and enhancement services designed to address specific Food & Beverage industry requirements. Product Launch: Develop brand for new product offering or offerings and link it to the core brand. Present new product brand in a full product launch initiative program. Brand Enhancement: Create new content to revitalize an existing brand to re-engage current customer base and acquire new customers. Brand Renewal: Reposition an older brand to appeal to a younger, millennial audience with new language, new imagery and a new appeal. Build a New Brand: For a new company or new venture, Haig Barrett Food and Beverage Consulting Services can develop and build a new brand from the foundation. Haig Barrett Food and BeverageConsulting Services offers a full range of consulting services, starting with strategic review of the brand and product lines and an assessment of the opportunities, risks and specific recommendations leading to a goal-oriented plan to reach client objectives. The suite of consulting capabilities includes strategic initiatives focused on growth, distribution, and overall company market strategy. Targeted offerings focused on sales and marketing address specific building blocks of a successful program.